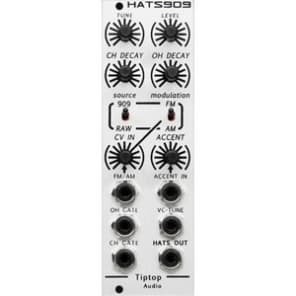 Introducing the HATS909, part of our new series of drum modules that brings those classic percussion sounds into the modular synth world, instantly turning your system into a self-contained music machine. 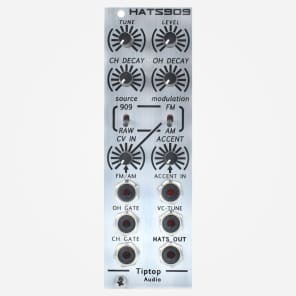 The HATS909 is the TR-909’s original Closed and Open Hi-Hats circuits adapted for use in Eurorack modular synthesizer format and was designed to sound like a machine coming fresh off the assembly line back in the 80’s. Improving on the original, we have added some great new features that expand the sound palette that can be produced with this small, powerful module. The original TR-909 circuit is made with a combination of low-fi sound samples that pass through a series of analog elements to provide envelope and filtering to the source sound. 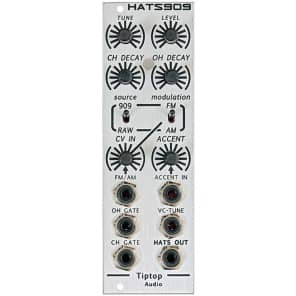 The HATS909 module allows for manual and voltage control of the sample’s tuning, which provides anything from crushed hats and short ticks to the original sound and anything between. 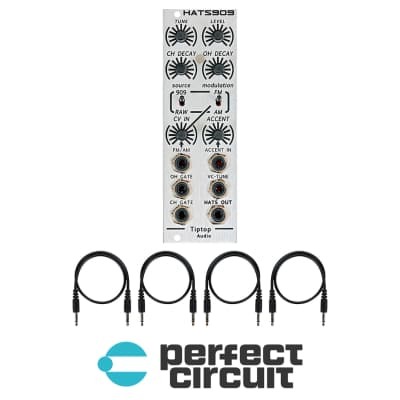 Additional controls allow you to send a voltage control signal to either the tune input or the internal VCA for modulation with external control signals and, using a modulation switch, add AM or FM synthesis in the audio range from external oscillators, other drum sounds, or just about any other sound source. 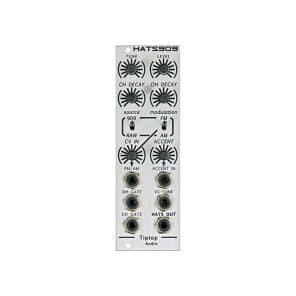 Lastly, HATS909 also offers a switch that allows you to tap directly into the raw output of the module for a unique sound source that can used throughout your system.